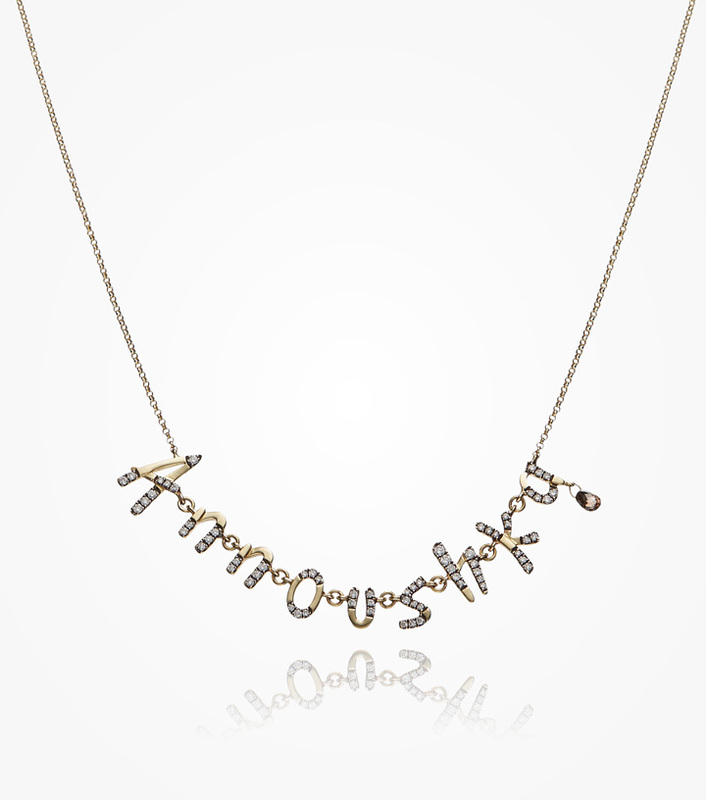 A bespoke collection; immortalise any name, word or phrase of your choice in 18kt gold and diamonds. 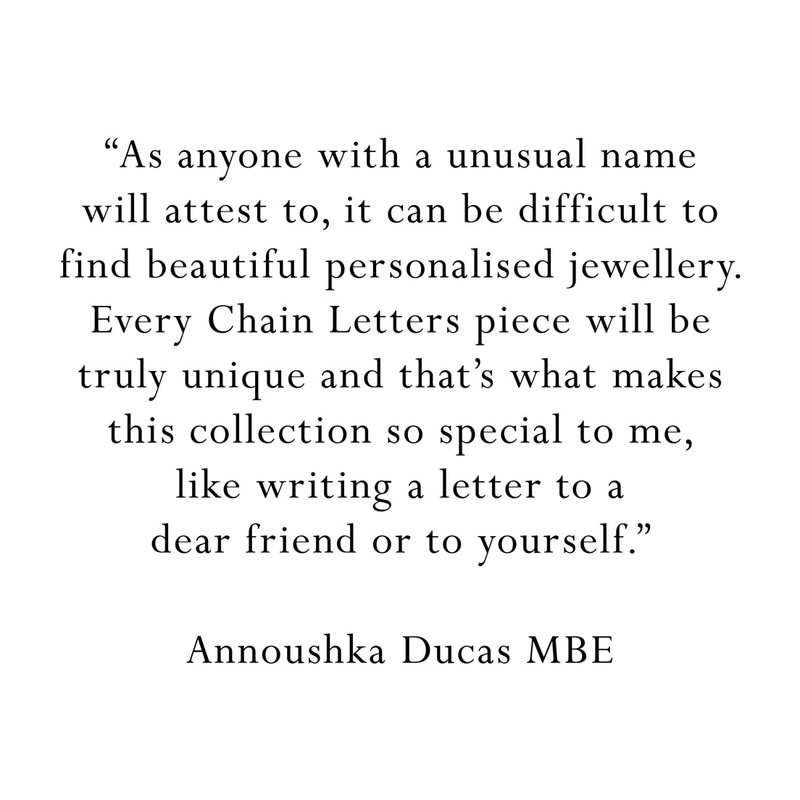 Handmade with an adjustable 45 cms chain, the Chain Letters necklace is available in 18ct yellow, rose, white and white gold with rhodium. 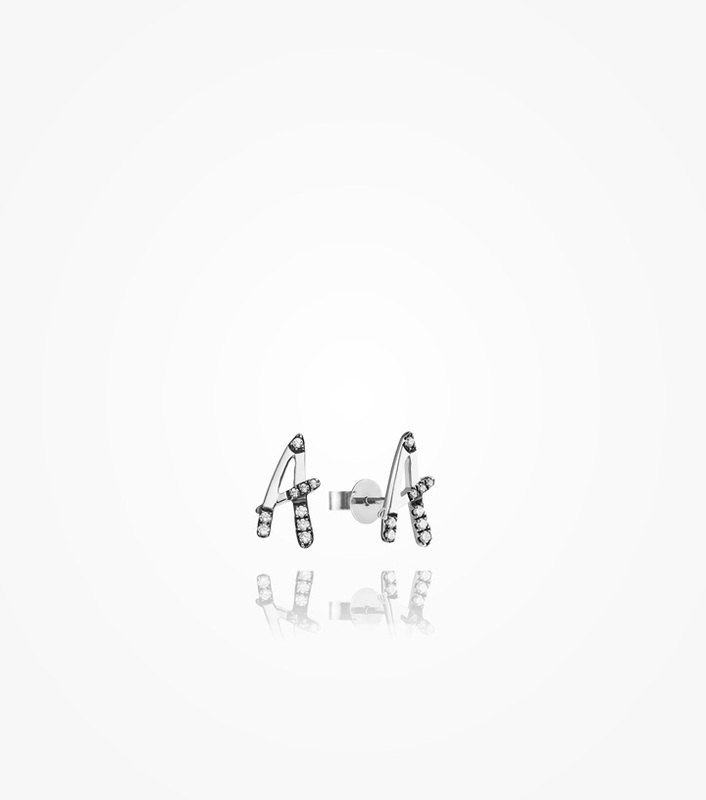 Available in four colour ways, the bracelet suspends a diamond set question mark and a briolette diamond that playfully swings from its 18cms length. 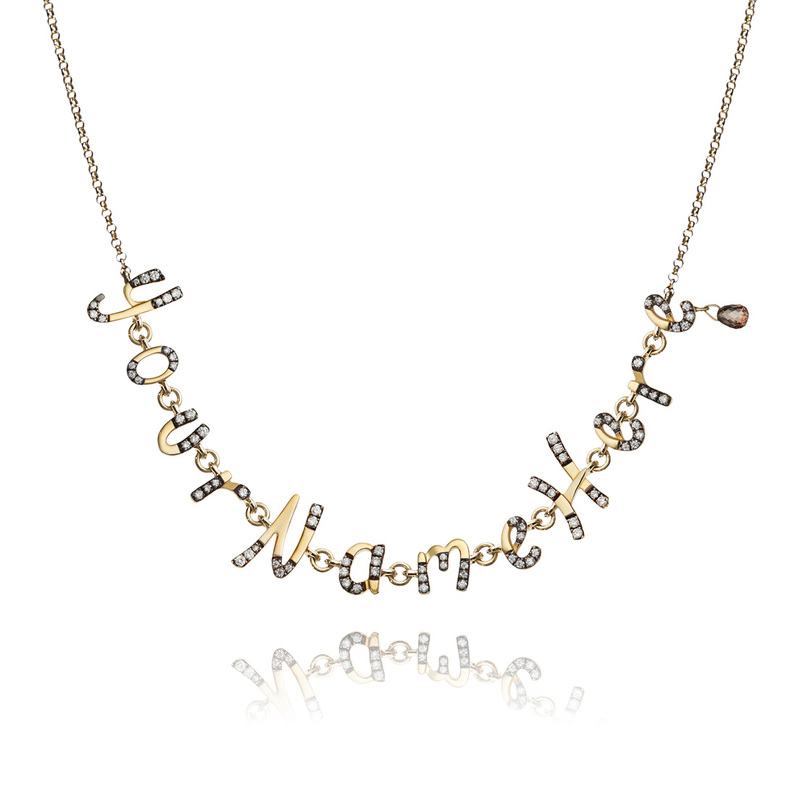 Set with sparkling diamonds, the Chain Letter studs can be ordered in lower or upper case letters in four gold colours.